You made the big difference! Dear eYeka community, We would like to thank you for your excellent contributions to our brief. We were delighted at the high quality of executions received and in particular the great energy & clarity of messaging seen in the videos. The creative expression of key tips and overall message was highly engaging. Just a small point- there were some brilliant professional executions which while landed the message well were not quite on brief of ‘humorous, cool and fun’ and were a little too serious. Staying tighter to the brief would have taken those videos to the next level. We look forward to the next challenge in the near future. Kind regards Unilever Brand Global Team. Here is the list of our 3 winners: In italic, you can find the Jury's feedback for each video. 1st Prize of USD 5,000 goes to LundFamProd (from USA) thanks to his funny Carbon Footprints . Very clever analogy of the carbon footprint allows for clear understanding of environmental impacts around the home. Engagement is high through use of humour, upbeat, fun tone and we particularly love smudge! Excellent execution to brief. 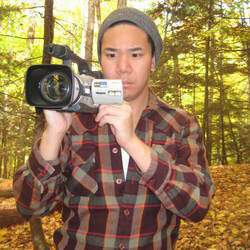 2nd Prize of USD 3,000 goes to RYC (from Canada) thanks to his video clip Sustainability SWAG . Highly entertaining and well thought through execution. The tips were clear and the 'swag' very catchy. Great execution to brief. 3rd Prize of UD 1,000 goes to jlorne (from Canada) thanks to his melodic animation . Really engaging, down to earth insight up front which draws the viewer into this dialogue. Execution felt authentic and can't help but smile. Congratulations to the winners and thank you all for your participation!